How QR Code optimization helps in businesses and to make conversion? As most of the personals would be aware of QR (Quick Response) code can grow the business and help in reaching the business goals at a much quicker rate. QR code optimization is the latest encoding method used in mobile as they can be read quickly by a cellular phone. It is a two dimensional barcode which comprises black square mazes in a white background. It helps in encrypting the information such as landing page, call to action functionalities and much more. It is capable of storing large amount of data (Handles 133 times more than one dimensional conventional standard barcodes). It stores all kinds of data like text content, website links, geo coordinates, video, Paypal buy now link, maps, contact details such as phone number, emails, etc. It acts as a bridge between the offline world and online world as the QR codes are placed on TV shows, print publications, subway advertisements, magazine ads, billboards, websites, etc. It will bring the people in the offline world to the online world. 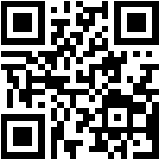 QR Code can be used to reveal more information about a product, service, video, coupon, event or about a person. The encryption part is carried out on capturing and scanning of the QR codes by mobile phone cameras which are seen on subway advertisements, billboards, websites, etc. The scanned QR codes are then decoded by QR code decoder, special mobile reader apps. There are loads of QR code decoder available based on the compatibility of smartphones viz. KAYWA Reader, Nokia Reader, i-nigma Reader, Lynkee Reader and so on. Download the reader directly to your PC and then use the bluetooth or a USB cable to transfer the files to your mobile phone which is compatible with the mobile. It is very hard to decrypt and retrieve the data, if the QR codes are not mobile-friendly. To make the QR Codes mobile friendly, we should check the following attributes: (i) Code density (ii) Display size and (iii) Scanning distance. How does it help in conversion if we put them in the product oriented websites? It encourages the users to scan and view the customer reviews or price comparisons. It brings them to view the product details, upcoming features and contact information. It impresses the users and induces them to check out the seasonal offers, special events and gift coupons. Previous Entry Why the Pinterest clones are more popular nowadays?